California appeals court slaps down servicer’s attempt to require payment of the entire mortgage loan a condition of homeowner protection. But no, says an intermediate California appeals court. Such an interpretation would gut the California Homeowner’s Bill of Rights. The facts in Valbuena v. Ocwen are common: Ocwen became the servicer of the Valbuena’s mortgage loan when the loan was in default. Ocwen filed a notice of foreclosure sale and sent the homeowners a letter offering to consider a loan modification. The homeowners submitted an application and supplemented it when Ocwen told them it was missing necessary documents. Two days later, Ocwen foreclosed. California’s homeowners bill of rights forbids a foreclosure sale while the mortgage servicer is considering an application to modify the loan in default. Nonetheless, Ocwen solicited a loan modification application and barreled right along to foreclosure. Ocwen sent the homeowners a letter promising to consider a loan modification application on March 13; the letter, received by homeowners March 18, required submission of an application by march 18. An application was submitted March 21 and supplemented on March 22. On March 25, Ocwen wrote that the modification was denied and conducted a foreclosure sale the same day. 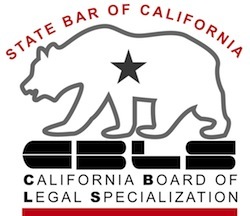 The servicer attempted to import into HBOR a requirement of older California mortgage law requiring the complaining borrower to tender payment in full as a condition of getting legal relief. No such tender requirement is found in HBOR, said the appeals court. Such a requirement would completely eviscerate the remedial provisions of the statute. This decision doesn’t decide whether the homeowners win or not. It came up at the beginning of the suit when the defendant argued that the written complaint was legally insufficient. It does deliver a message to servicers that courts take seriously the intent and the structure of the Homeowners Bill of Rights and that courts stand ready to require compliance.